The rapper had a love for the stage even back then. The latest social media trend is slowing spreading across the interwebs with public figures hopping into the fun. Cardi B recently shared her own throwback content. Taking a different approach to the challenge, the entertainer uploaded a video of herself instead of an old photo juxtaposed to a recent one for comparison. "Ten year [sic] challenge," she captioned the post for clarity. "I was still in Highschool." View the clip after the jump. 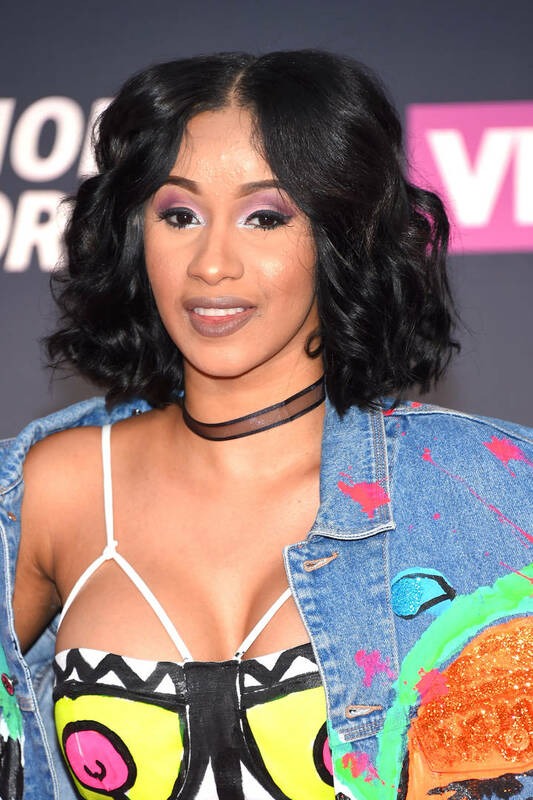 Cardi, along with several classmates, were filmed performing in what seems to be a high school talent show. Everyone danced along to Lady Gaga's "Bad Romance" but all eyes were on the "Bodak Yellow" star, of course. She flaunted her fierce stage performance as the act's main attraction. She wore a red one-piece and emulated Gaga with her vocals and choreography. She even crawled on the stage's floor. Based on the sounds coming from the crowd, those in attendance were thoroughly entertained by the confident teenager and her friends. The young mother has definitely come a long way from her high school days. Her glow-up snowballed on high speed in the past couple of years. Now, others are emulating the former Love & Hip Hop Star's dance moves.